1. 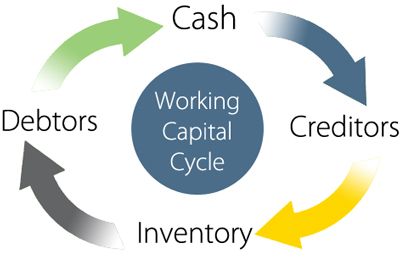 Working Capital – Defines the term and looks at how the working capital cycle operates. 2. Managing Working Capital – Looks at how managers can manage the cycle to the benefit of their business. Note – Cash & profit are very different from each other. Cash is actual money. Profit = Sales – Costs. A profitable business may become bankrupt if it does not have sufficient cash to meet its liabilities. 3. Cash flow forecasts – Outlines the key features and why they are produced. 4. Managing cash flow – Looks at what managers can do when the business experiences cash flow problems.